“Spencer’s systems work. When I started I had no real plan. After checking out his stuff I realized I could use the principles and not have to wait for my sites to start making money. Last month I made $22,500 off one site. I built Long Tail Pro from the ground up. The primary engine behind that business was the traffic I was getting to Niche Pursuits (which came from Google) and the organic traffic coming to LongTailPro.com. To this day, LongTailPro.com still regularly generates over 1,000 free visitors from Google EVERY SINGLE DAY (not an easy task in the “keyword research” software space). I created a blog on Long Tail Pro, started to rank for lots of “long tail” terms related to keyword research, and lots of those visitors became customers. I won’t give a full history of the earnings of that company here, but it was a significant business…many times what I was making as a banker. I sold that company a couple of years ago for just shy of $2 million dollars. Thank you Google organic traffic! In 2014, I built an Amazon FBA business and the products started to sell on Amazon. I was thrilled! However, I took a step that many Amazon sellers never take, I built my own content website (off of Amazon) that would direct traffic to my Amazon listings. 1: I would write articles reviewing similar products to mine or comparing the “best product” in my particular niche. 2: I produced dozens (and eventually over 100) articles targeting long tail keywords that I knew could rank well in Google…quickly. The goal was to find people who would search on Google for terms like, “best product …” (or whatever the keyword was) in my niche, find my website ranking near the top of the Google results, and start to read my article. From here they would see the link to my product on Amazon and a percentage of them would go and buy my product on Amazon. I was sending thousands of visitors from my own website each month to my Amazon listings. And what did this do for the rankings of my products ON Amazon? It helped rank them higher on Amazon which, in turn, led to higher sales. The bottom line is that by generating free organic traffic from Google to my own website, I was able to build a significant Amazon FBA business which I sold for $425,000 in December 2017. 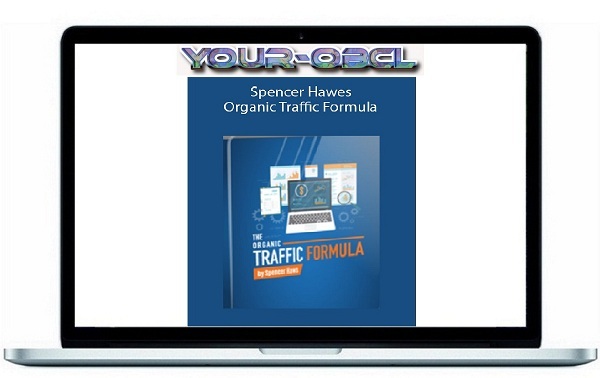 To make sure you get everything you need when using Organic Traffic Formula, I have Jason Wilson and Jake Cain teach with me in the course. I wanted to increase the value of what I was creating and knew that their insight and expertise was key to doing this. So why these two? Simple. Jake and Jason are the real deal. They also happen to be a part of the Niche Pursuits team and work with me every single day. They are the guys you see everyday either answering your questions in real time on the FB group or writing in-depth articles on the blog. You are familiar with them, their knowledge, and their results. With Jason and Jake you also know you are getting advice from experts in the field with a proven track record of seeing results month after month. With their combined years of experience we will arm you with exactly what you need to take a site with zero traffic and start monetizing it with massive amounts of traffic within months. I should clarify that this is just ONE of Jake’s sites, he has a few others that are doing well (but this is the biggest). Did I mention that most of the traffic comes for free from Google? Not only is Jake extremely experienced at growing his own site’s from scratch, he’s been helping others as a part of the Niche Pursuits team for the past couple of years. You’ll get to hear Jake’s strategies and tips right inside the course videos. Jason’s sites have seen incredible growth over the last 12 months, and combined they now make over $10,000 a month. I consider Jason our resident Link Building expert and you’ll get to hear all his strategies inside the member’s area of the course. This isn’t a system that runs itself. You need to do the work. Here are a few ways to tell if this course isn’t the right fit for you. How I Took A Site From Brand New To Making 1,600/Month Using Only Long Tail Keywords and Free Traffic from Google. In Organic Traffic Formula I pull back the curtain and do a deep dive into one of my niche sites I have been running. This is a site that I’ve never revealed before that is now making over $1,600 a month. I let you in on everything: the traffic numbers, how I outlined the content strategy, discuss the results, and share the revenue I’ve made so far. The best part is that I show you the ACTUAL SITE! That means you can visit the site, see it live in REAL TIME, and see the live rankings in Google. This alone is worth the entire cost of the course. Because, you get live access to one of my projects while I grow it in real time. Nothing is held back. That means you can follow along and use it as an example as you build your site!